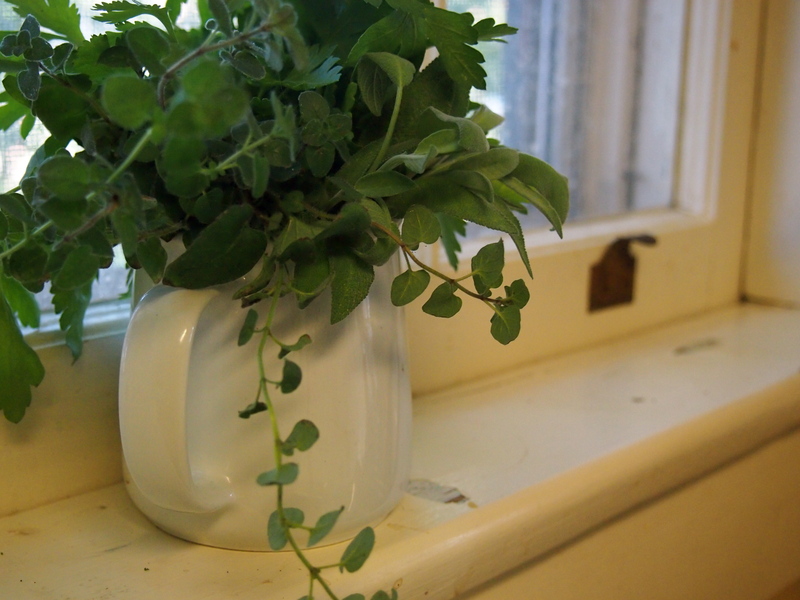 :: played host to a beautiful bouquet of fresh herbs from our greenhouse- sage, parsley, cilantro, and oregano. Having them in a cream pitcher close at hand, instead of in a bag in the fridge, reminds me to use them. My cooking has been better for it. :: witnessed a revival of my commitment to soaking my grains, nuts, and legumes. It has also witnessed the stench of the bowl of beans I forgot about and hence left in their soaking water for four days. My cooking has been worse for it. 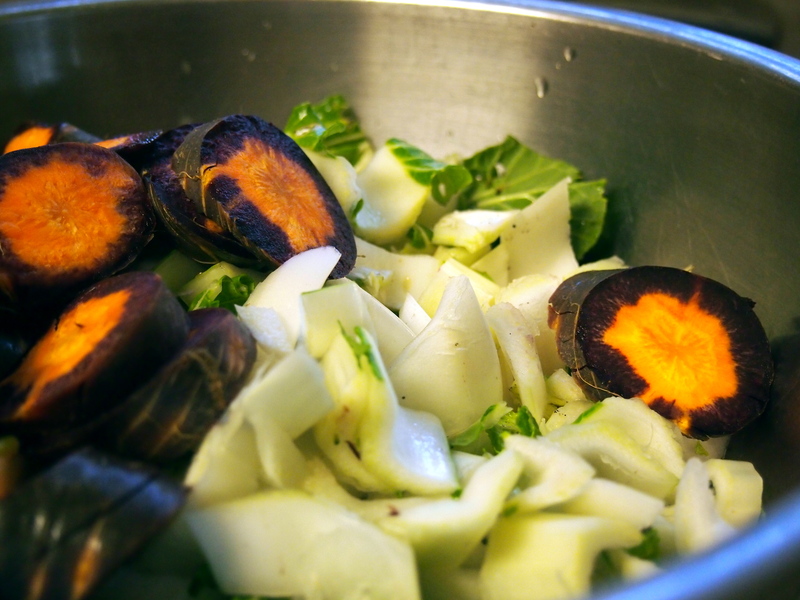 :: finally seen the last of the purple haze carrots. Until spring at least. This has been the first season that I’ve deigned to actually cook with them. In previous years, they’ve been too precious and were reserved for eating out of hand, barely making it home from the farm. This year though, they’ve been sauteed with mint and coconut oil, stir fried with bok choy and lemon, and added to the most glorious rainy day beef stew. 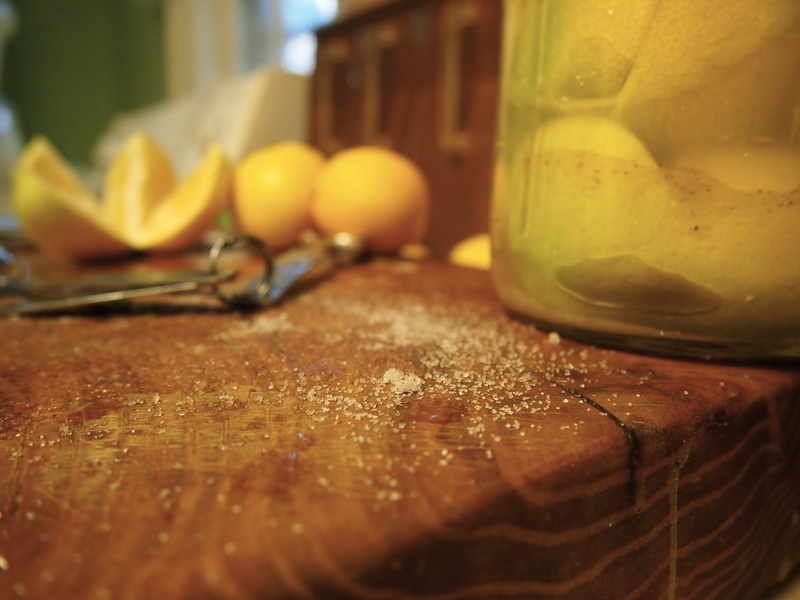 :: dribbled with Meyer lemon juice and salt as I made Moroccan preserved lemons. I now know where each and every nick and crack is on my hands. :: not told a soul that I licked the pot, spatula, and funnel clean when I made lemon curd no less than three times. I woke up Sunday morning with an itch to make breakfast. Not just oatmeal or eggs and toast par usual, but something a little special. A mite indulgent. 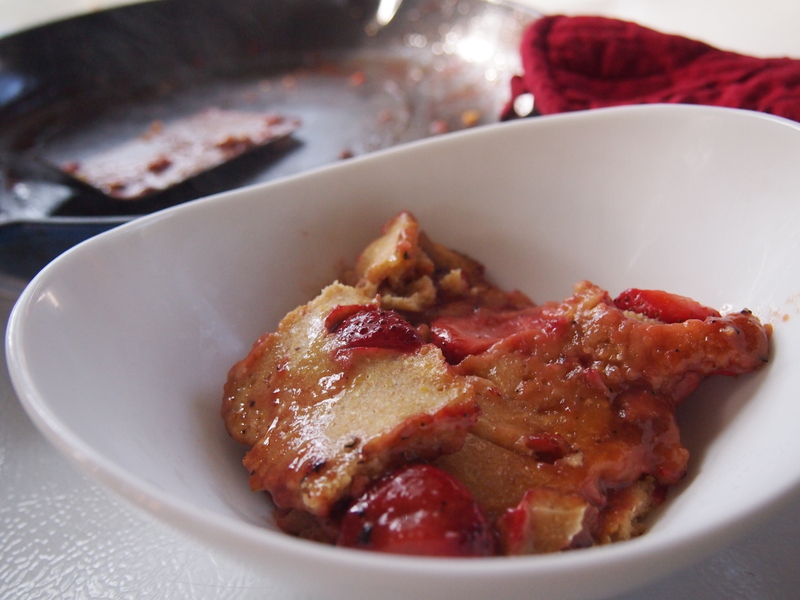 I had also recently remembered the strawberry jewels buried deep in my freezer. I had an open bag of cornmeal that needed using up. All these disparate filings of ideas were pulled together by the magnet of an upside down pancake like this one. However, somewhere between desire and endeavor things went awry. I forgot both the eggs and baking soda, making a batter that consisted only of flour and cornmeal mixed with buttermilk. As I mixed it up, I marveled at how fast it came together. 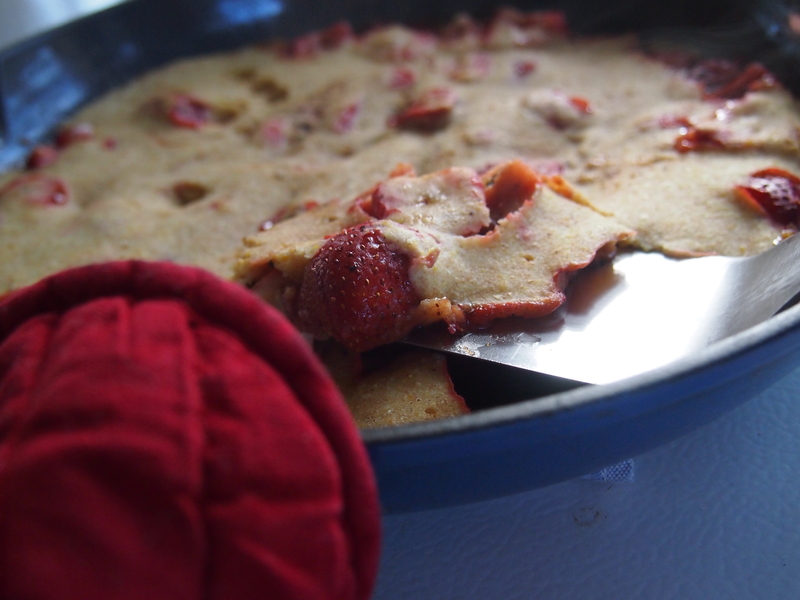 As I poured it into the skillet, I fretted over how it failed to cover the whole pan. 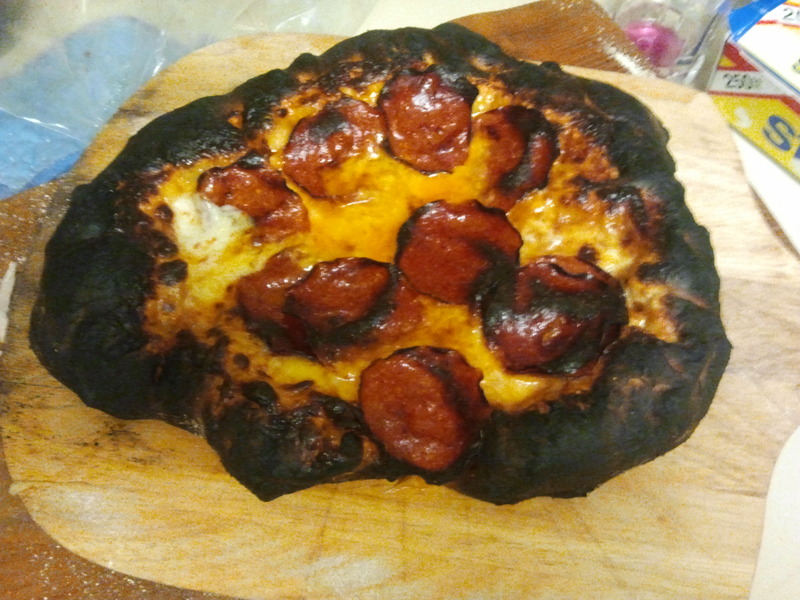 It was only as I closed the door to the oven that I realized my mistake. We ate it anyway. Gummy batter and all. At least the strawberries were good.